A graduate of the UBC Opera Program, Madeline Lucy Smith is praised for a versatile voice that boasts clear, pure heights and rich depths, and a knowledge and grasp of many musical styles and genres. Lucy made her professional debut with the Royal Melbourne Philharmonic Orchestra in 2009, first in a performance of Purcell’s Dido and Aeneas and subsequently in a touring engagement, premiering Nicolas Buc’s Mary MacKillop Mass in South Australia and Melbourne. Lucy has just relocated to Vancouver after studying and performing in the Netherlands over the past 3 years. Based in The Hague, Lucy took lessons with the world’s foremost experts on historical performance of early music, including Dorothee Mields, Pascal Bertin, Michael Chance and Peter Kooij; and coached with Concerto Palatino’s Charles Toet and the co-artistic director and founder of Holland Baroque, Tineke Steenbrink. She also participated in many projects and workshops based at the Royal Conservatoire. While in Europe, she gave performances around the Netherlands, Belgium, and in Siena, Italy, where she had the privilege of studying with Daniel Taylor and Ian Partridge. She also performed in many concerts with Baroque violinist James Hewitt, including a sold out performance at the Utrecht Early Music Festival Fringe in 2017. At the UEMFF, she was also part of the small ensemble project Lutheran Vespers: Music for troubled times, which was also presented as part of Early Music Vancouver’s Bach Festival 2017. At home in Vancouver, Lucy is in demand both as a soloist and an ensemble singer. She sings regularly with musica intima, and has performed in concerts with Early Music Vancouver, with the Pacific Baroque Orchestra under Alexander Weimann. She is currently a soloist and section leader with the Christ Church Cathedral Choir. Lucy is looking forward to re-establishing herself within this vibrant community and helping grow an early music scene that supports and fosters local performers. 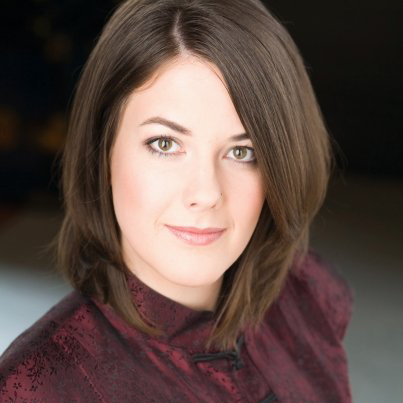 Lucy sang for five seasons with the Vancouver Chamber Choir, where she was often featured as a soloist, most notably on the JUNO-nominated CD A Quiet Place and on the CBC broadcast performance of Bach’s Magnificat. Lucy feels honoured to be re-joining her choral family in the VCC as part of Jon Washburn’s farewell season.